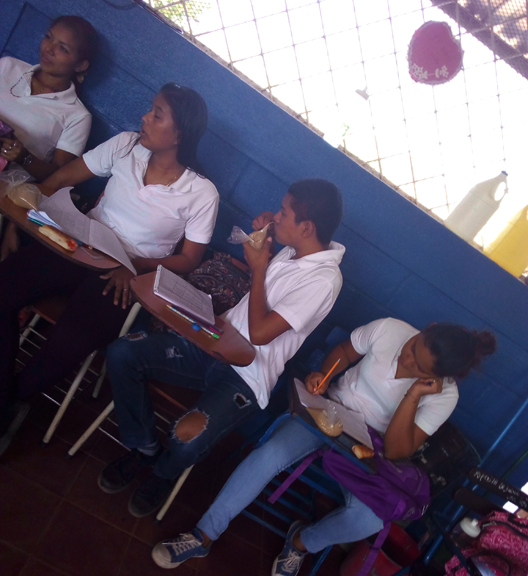 Many of the students come to school hungry. They now receive their breakfast, prepared by Head Teacher and Language Arts instructor Prof. Luvy. 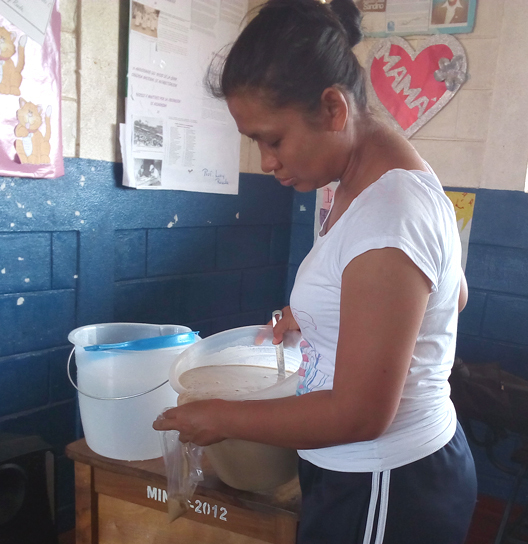 She prepares a healthy breakfast drink of local fruits and milk and serves a locally-made bun. The breakfast is served while the students work on their lessons, and the nutrition boost enhances their ability to focus and learn. Somos Ohana Nicaragua is providing funds for this meal until they can start harvesting enough foods from their school gardens. We are looking forward to the new cafeteria under construction in the 3rd wing where the students can eat more comfortably. The Water System is working! Somos Ohana is a non-profit corporation: Section 501(c)(3), registered in Hawaii. Donations are tax deductable.